Mr. Baleria obtained his B.A. from California State University, Sacramento, in 1991, where he was on the Dean’s List. He received his J.D. from the University of the Pacific, McGeorge School of Law. While at McGeorge, Mr. Baleria was a member of the Moot Court Honors Board. He was admitted to the California Bar in 1994 and the Hawai’i Bar in 2011. Mr. Baleria is also admitted to practice in U.S. District Court, Eastern, Central and Northern Districts of California. Mr. Baleria is a seasoned attorney, having tried a number of cases, both bench and jury, and represented clients in numerous arbitrations. 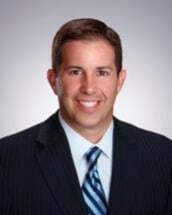 His breadth of knowledge in the medical malpractice arena involves the defense of physicians, nurses, hospitals, long-term care facilities, dentists and ancillary health care professionals in myriad fields and contexts. Mr. Baleria has strong experience in catastrophic losses, elder abuse, California Medical Board investigations and personal injury.